The next time you are about to throw an empty roll of toilet paper in the bin- STOP! There are tons of amazing DYI projects and incredible ways to re-use these household staples. 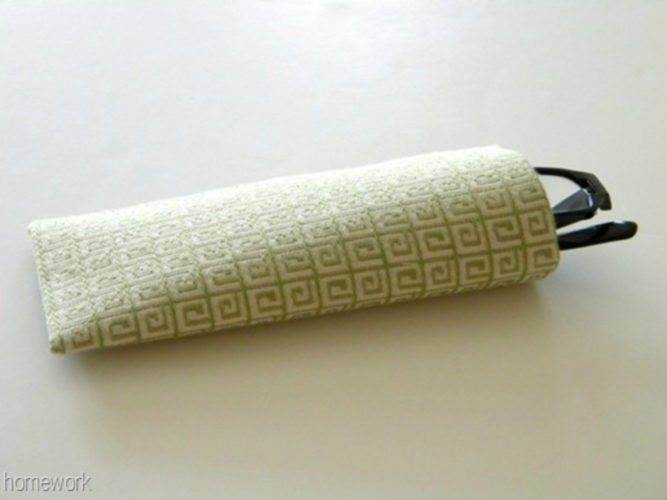 And we have listed 8 Clever and Creative Ways to Re-use Toilet Paper Rolls. As much as possible, Proud Kuripot would like to be an advocate of transforming an ordinary item into something extraordinary. We love to take a creative look at simple things- even the used ones. And that includes paper towels and toilet paper rolls. We all use the tissue and the roll that it came on would usually end up in the garbage. Instead of getting rid of them, why not breathe some new life into them? 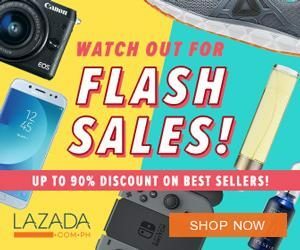 They are perfect for creative crafts, colorful organizers and even attractive decorations or awesome everyday hacks. The scope and possibilities for creativity are endless! Still not convinced? 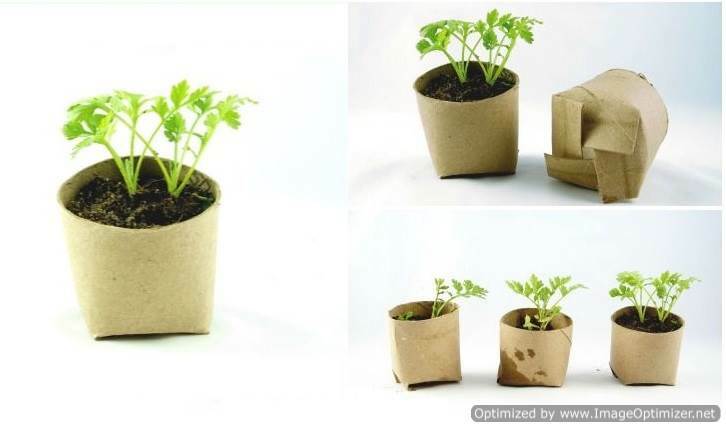 Well, check out these 8 Clever and Creative Ways to Reuse Paper Rolls. 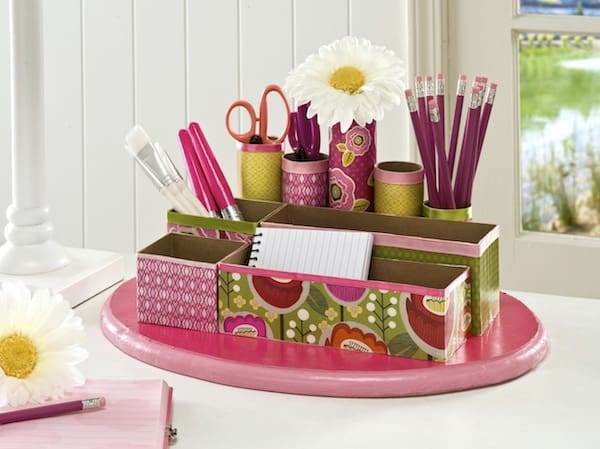 Who doesn’t need a desk organizer? Ideal for home, office and can be a school project as well. Store your pencils, pens, paper clips and other school and office supplies in this elegant and perfectly coordinated desk tidy. For the easy to follow directions, click HERE. 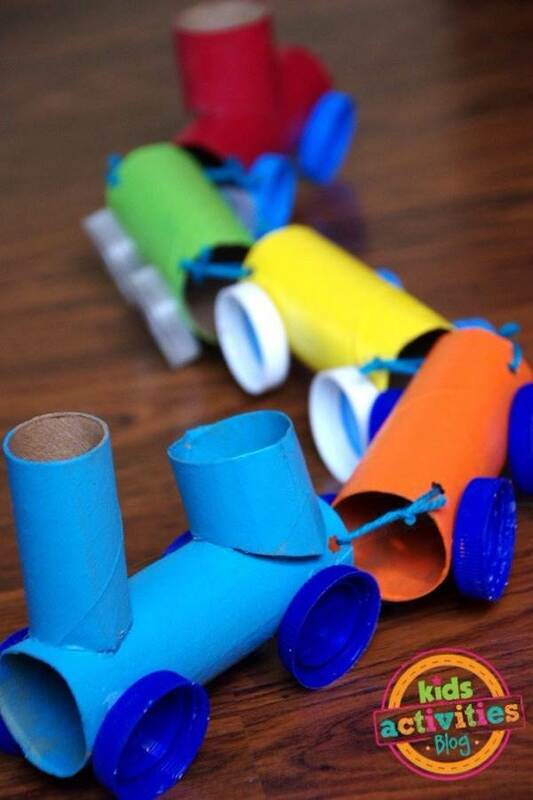 Your kiddo will have a blast making and playing this toy train made out of empty paper towel rolls. Let your kid’s imagination run wild with colorful materials and creative designs. For this, you will need the following materials. Learn how to create this work of art. Have your little ball of sunshine join the activity for an awesome bonding time. Click HERE for the full instructions. Make this DIY phone holder the stellar piece on your desk or study table. 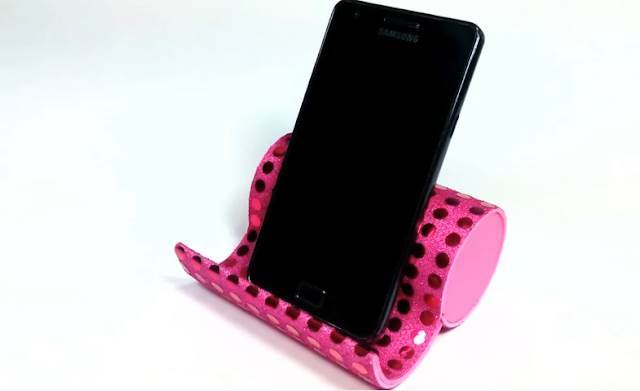 Learn how to make this easy but stunning phone holder out of empty toilet rolls, glue and foam sheets. Unleash your inner craftsmanship and add your own touch to this project using their favorite decorations. What a cool, stylish and unique idea to add a fun element to your home decor! 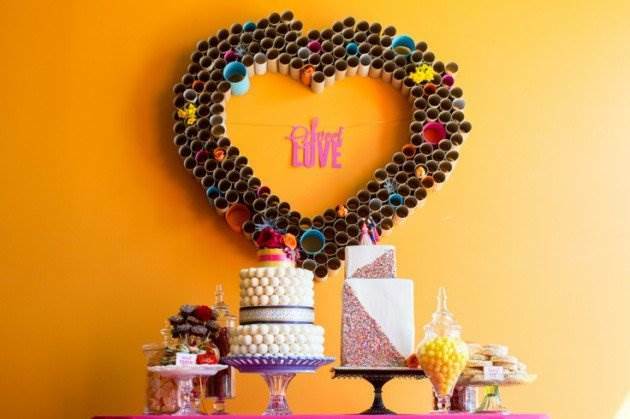 Deck your wall with extravagant DIY wall art! Let us help you fight the boring wall plague with amazing and unique art pieces that won’t cost a fortune. All you need are combo of toilet paper and paper towel rolls, glue, a pair scissors, craft paint- and of course your glowing imaginative ideas. Running out of designs and ideas? Worry not, WooHome got us covered. Check out their list of 30 Homemade Crafts for Wall Art by clicking HERE. Any budgetarians with green thumb? If you are into gardening but cannot buy those typical plan pots, you could use something incredibly cheap and efficient. You can start with toilet paper roll crafts that works well with vegetable seeds like peas, herbs, beans and more. Here’s a quick and easy video on how to turn your empty paper towel and toil paper rolls into a mini garden. 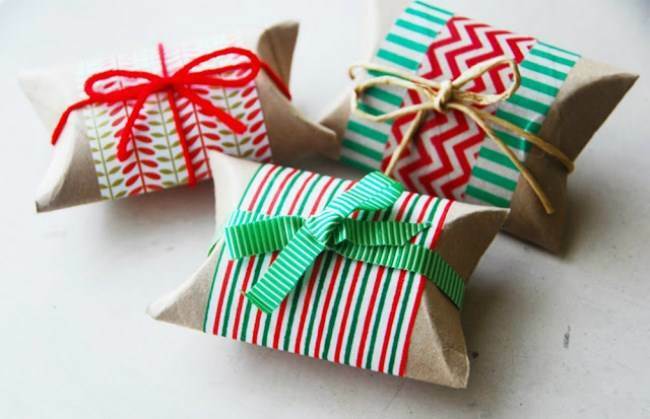 Now, here is a nice way to wrap small items as gift. Be it a piece of jewelry, a pin, or even store some paper bills and coins. This is also a great idea for party favors. Use colorful and glittery papers on your wrapping rolls to add some style and personality. For sure, you will keep an eye for rolls once you get the hang of these masterpieces. 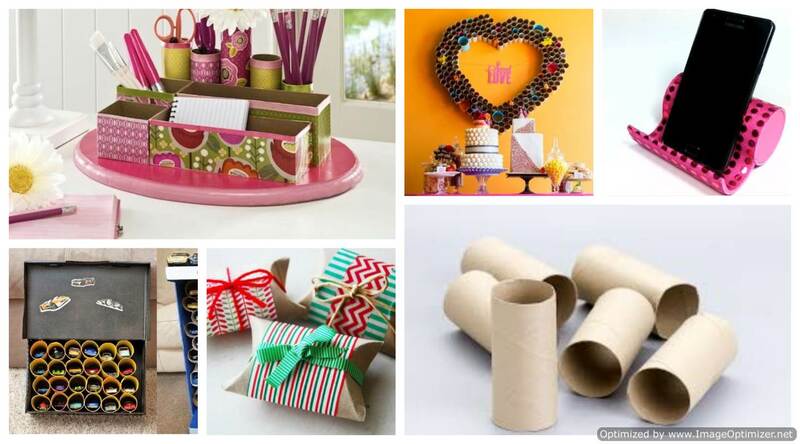 Cardboard roll – toilet paper roll, paper towel roll, gift wrap roll, etc. Ribbons, wrapping paper, stamps, and other decorations. If you have a lil boy, you must usually have dozens, if not hundreds of toy cars all over the house. Wouldn’t it be nice if there was a special place to store them? Like a garage? 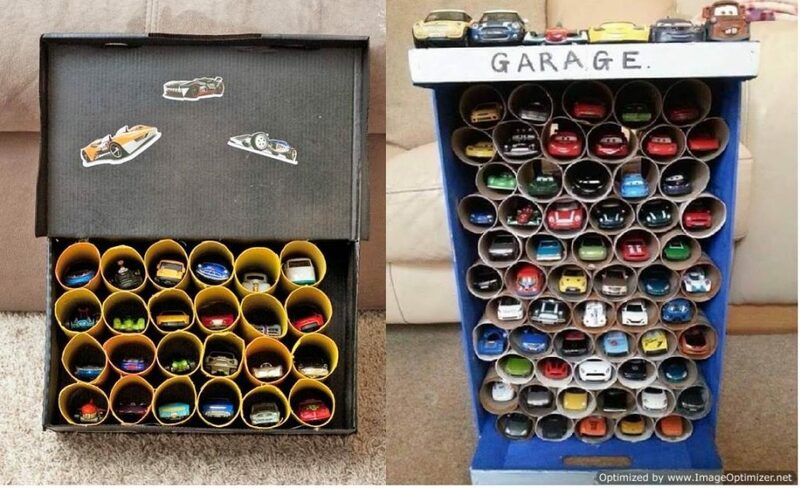 Keep your kid’s playroom safe and neat with DIY toy car garage as shown below. With this incredibly cool craft, you and your boys can customize a totally awesome garage for their favorite cars. You can also color-code, and put amazing designs on it. You can check out the full instructions from Third Spot on the Right blog page. Click HERE for more information. Eyeglass cases can sometimes be a little expensive. So why not create your own at home? Not only it will save you from spending more, you will also get to customize it depending on your taste and personality. You will just need (1) Paper towel tube or wrapping paper tube (2) a fabric (3) craft glue and a pair of scissors. For full directions on how to make an easy no-sew eye glass, please click HERE.